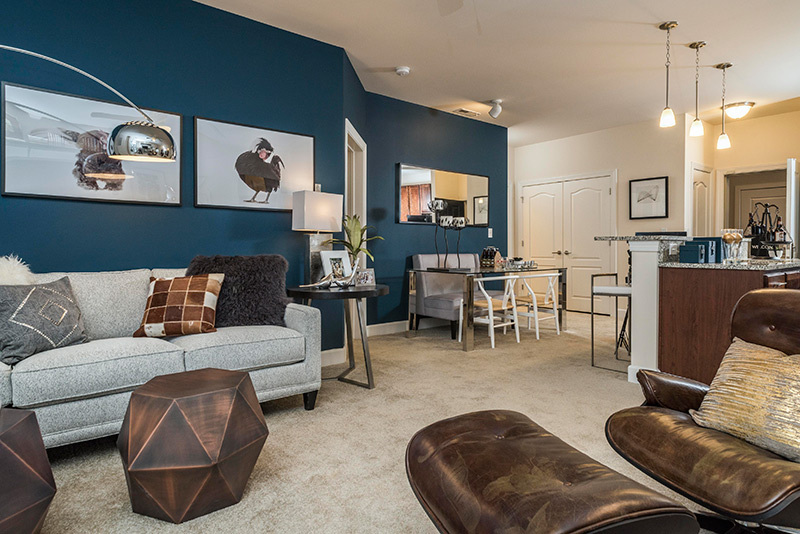 A New Point of View… Abberly at Southpoint offers a fresh perspective on upscale living in the greater Fredericksburg area. This BRAND NEW, gated community offers controlled access buildings equipped with elevator access. Discover spacious 1, 2 and 3 bedroom floor plans with thoughtfully designed modern interiors, functional kitchens with granite countertops and mocha wood cabinetry and expansive windows capturing an abundance of natural light. Find time to kick back at the invigorating pool with large sundeck, visit with friends in the resident lounge with foosball and billiards area or take in a revitalizing workout at the exclusive Cardio & Strength Studio. See yourself shopping in Southpoint or nearby Cosner’s Corner or Central Park, unwinding at trendy local restaurants and cafés or exploring one of the several scenic trails by bike or hike. For those who travel throughout the DC Metro or Richmond areas for work or play, we offer superior access to Interstate 95 and Jefferson Davis Highway (Route 1), and the Spotsylvania VRE Station (Zone 9) is located just six miles away providing additional convenience. "I love this place big units clean and quiet"
"Omg nice Luxury Apartments feels like a hotel"
"Great apartments!! The staff is great, anything you need they are on top of it. Jon the Property Manager always takes the time if you have a question. We get memos regularly sent to our email that keeps us updated on anything going on in the complex. The staff gets to know everyone pretty quick by name which makes it feel more like a community than just another complex. If you are looking for apartments in Fredericksburg choose these." For more information on apartments in Fredericksburg, VA contact Abberly at South Point.